We’ve got Gainesville, Ga covered for garage door and home improvement services, from the north side of Lake Lanier down to Hwy 53. We’ve been doing work in the Gainesville, Ga area for over 10 years, providing homes and commercial settings with professional level service at competitive prices for garage door repairs and remodeling. Take a look at some of the things we’ve been busy doing in Gainesville. 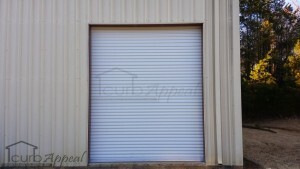 We offer garage door repair and installation across Gainesville. Broken springs, doors off the tracks, new rollers and cables. We’re ready to get your door rolling again. We repair and install garage door openers in Gainesville. New LiftMaster openers are known for their quality and longevity. We offer a broad scope of remodeling services like carport enclosures, new storage buildings, and interior/exterior repairs. This Gainesville, GA residence has had a new garage door opener from LiftMaster installed. These are garage doors from the Amarr Classica line. Many other styles are available. 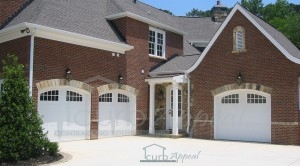 The steel garage doors pictured above feature an arched top with decorative inserts.